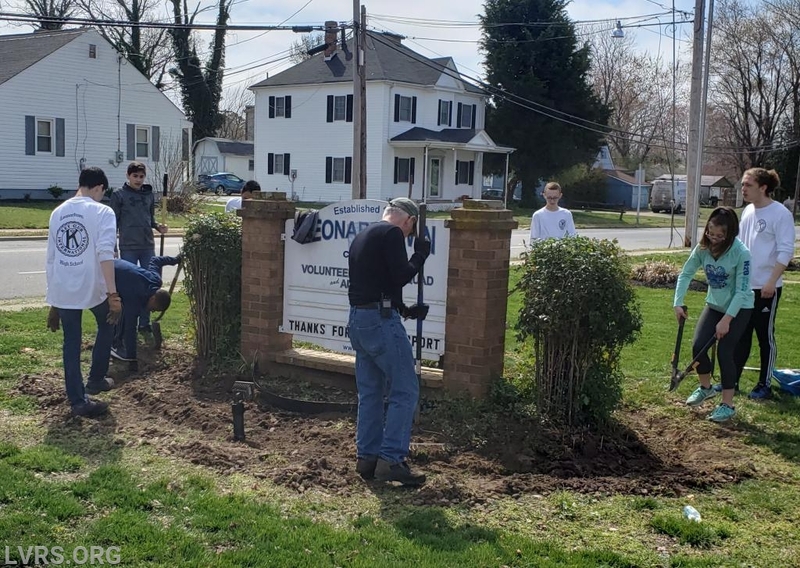 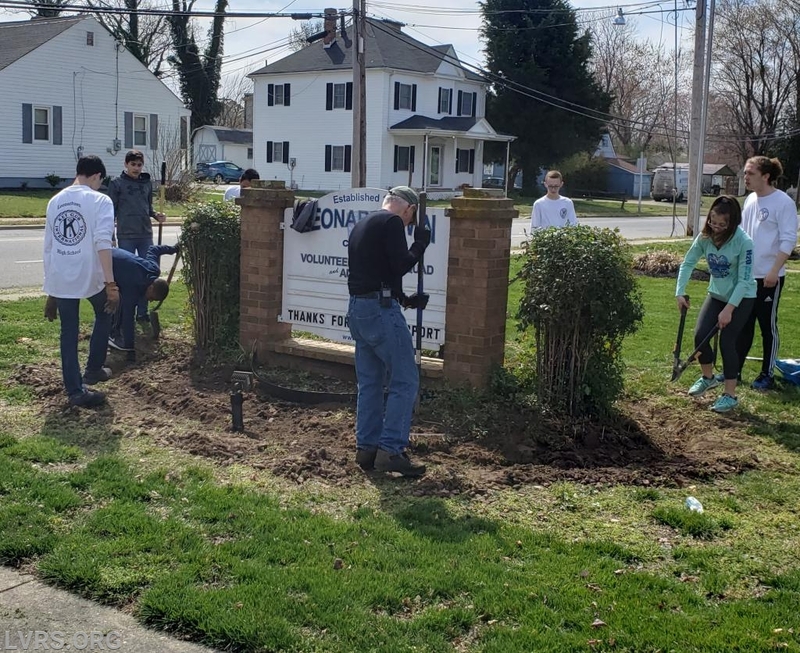 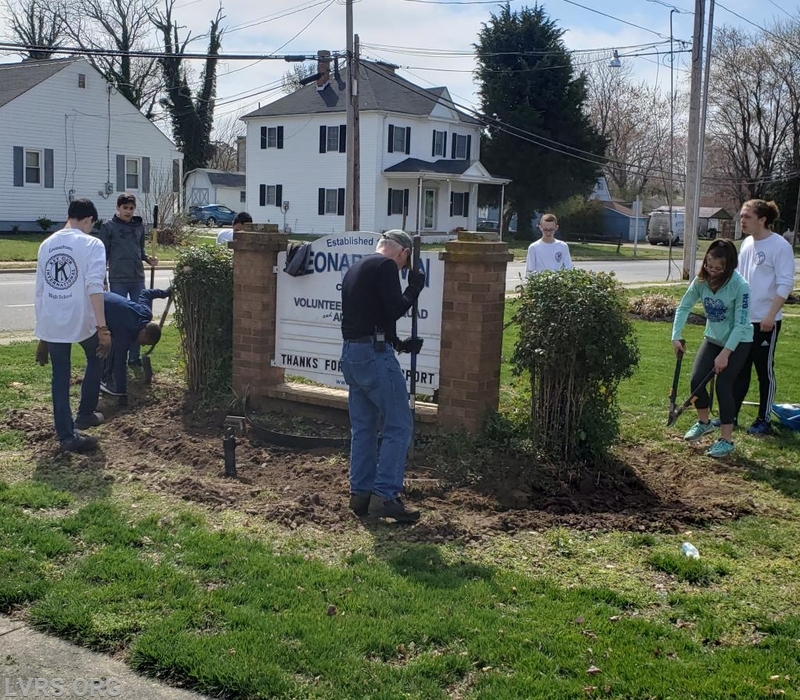 On Saturday, April 6th, coordinator Caleb Bryan and members of the Leonardtown Key Club volunteered at the Leonardtown Volunteer Rescue Squad. 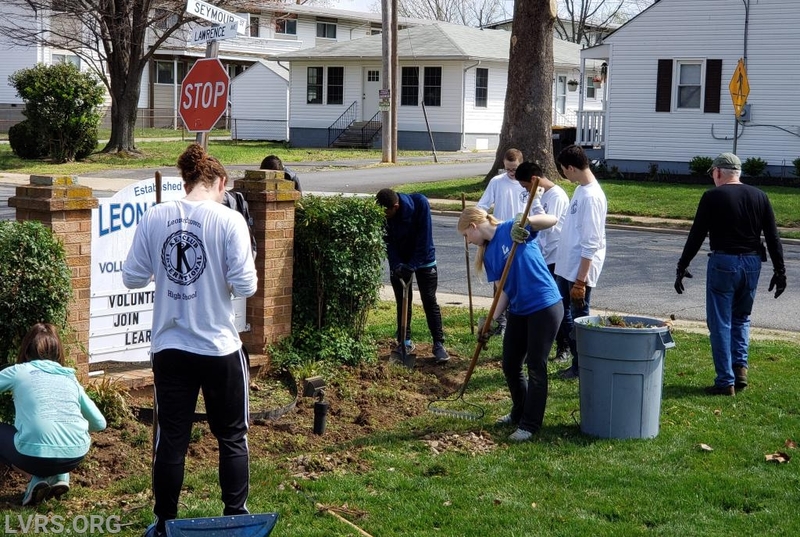 The Key Club is the oldest service program for High School students that teaches leadership through service. 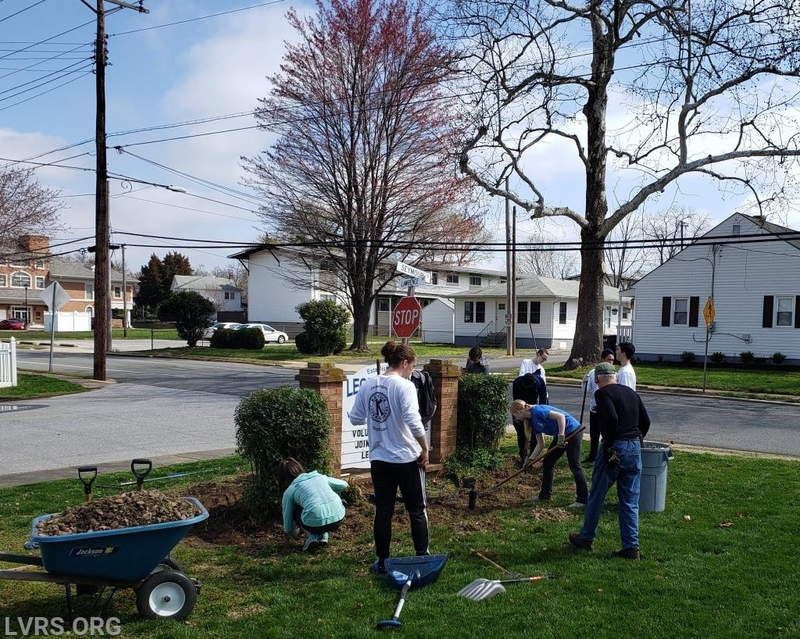 They spent the day weeding, trimming, pruning, laying down mulch and sprucing up the gardens surrounding the squad building.